The 2018 AFL NSW/ACT NAIDOC Cup was run last week at Blacktown International Sportspark for the ninth successive year, as a part of 2018 NAIDOC Week celebrations. With 11 teams from six of the Western Sydney AFL Indigenous Academies partner high schools involved – including Doonside High School, Rooty Hill High School, Plumpton High School, James Meehan High School, Sarah Redfern High School, Macquarie Fields High School – over 160 students took part in the day. While the mixed AFL 9s round-robin tournament was the main calling for the NAIDOC Cup, the day also included cultural activities such as basket weaving and bush tucker tasting. 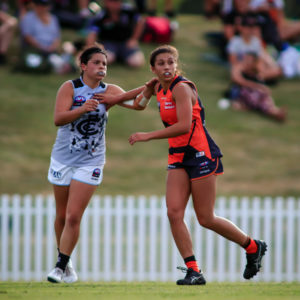 As the only event on the calendar that brings the AFL Western Sydney Indigenous Academy partner schools together, the NAIDOC Cup is seen as one of the best opportunities for the students to be able to connect and network with each other, providing a strong sense of community and instilling cultural pride. The 2018 NAIDOC Week theme of – ‘Because of Her We Can’ – was also prominent on the day with people sharing stories of the influential Indigenous women in their lives. 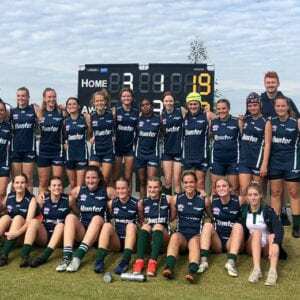 Indigenous Academies Manager, Candice Bell says the 2018 NAIDOC Cup was a rousing success. 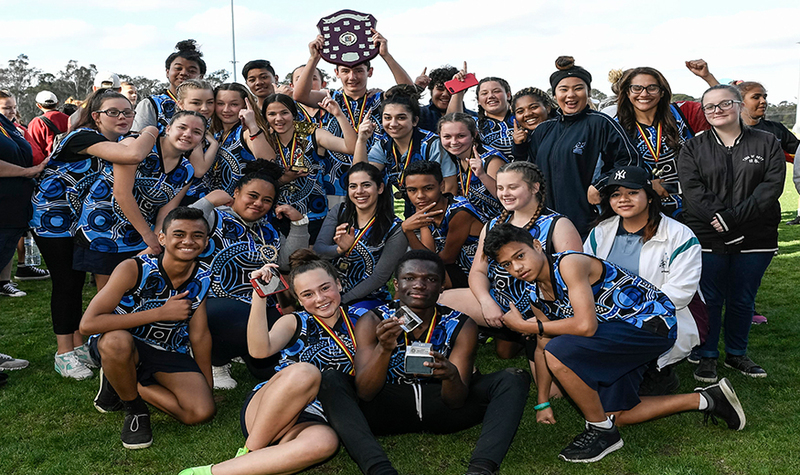 “The AFL NSW/ACT NAIDOC Cup provides the opportunity for our students to celebrate NAIDOC, our culture and our peoples in a fun environment,” said Bell. 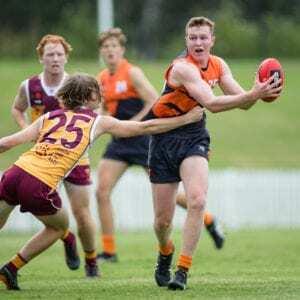 For the record, James Meehan High School won out against Doonside in the Grand Final, a fantastic pairing of two teams who had previously never made it that far in the competition. AFL NSW/ACT wishes Aboriginal and Torres Strait Islander peoples a happy 2018 NAIDOC Week.